DAVID LE/Staff photo. 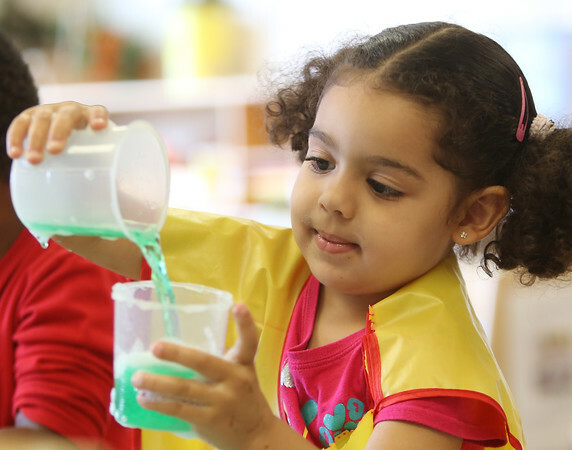 Three-year-old Alaa Malini pours soapy water from cup to cup while at the Pathways for Children summer program on Monday morning. 8/24/15.